I’m going to declare that, as of August 2018, martech has crossed a threshold in maturity. And by martech, I mean the grand view of martech, the convergence of marketing, technology, and management practices across industries — and the hybrid marketing leaders who are driving the strategy and operations of that convergence. Sure, the marketing technology landscape has advanced tremendously over the past year. I think we’re finally getting our head around the paradox of simultaneous martech consolidation and expansion. And that’s true. What’s remarkable is the way the discipline of marketing, writ large, has evolved so dramatically over the past five years to leverage this technology. What used to be the digital tech fringe is now the marketing operations center. That is the exact sensation I just had as I was reviewing the agenda for MarTech coming up this October 1-3. I’m going to share an in-depth preview of the upcoming MarTech sessions with you here, and let you be the judge: doesn’t this content seem much more mature than it was even just a year or two ago? Monique Bonner, SVP & CMO of Akamai will share her experience Developing a Martech Strategy that Serves Your Customers & Business. In 2017, they took an inventory of their marketing technology and discovered 80 applications across 175 marketers in need of a cohesive strategy to guide investment. This inspired a multi-year martech journey that included taking a fresh look governance, procurement and dedicated resources — and a new company mandate: every decision on tech must align with an external positive impact on customers, as well as an internal positive impact on employees (i.e., productivity, automation, ROI). Create a customer centric organization that holds marketing accountable for designing, operating, and scaling a joint technology stacks. Leverage your technical teams and COEs to deliver more efficiency across both marketing and sales. As a late-breaking addition, Neeti Metha, co-founder, SVP Brand Strategy & Culture Architect at Automation Anywhere, will share a talk on Robotic Process Automation. More details to come soon. Sarah Cooper, creator of The Cooper Review, writer, comedian, speaker, and author of the bestselling book, 100 Tricks to Appear Smart in Meetings, built her comedy career in between working as a user experience designer for companies like Yahoo! and Google. In her keynote, Sarah will take us through her journey, from working in tech to becoming a full-time writer and comedian, discussing both her failures and successes (and more failures). She’ll leave you with a set of tools/questions to create a career that’s unique to you. Michael Trapani, one of the leaders of IBM Watson Marketing, will share How AI Will Let Us Be Marketers Again. Smart marketers have always known they need to work with data. But with dozens of channels and endless tools, many of us feel more like data analysts than creative marketers. Michael will present new and exciting ways that AI is clearing our schedules, and getting us get back to marketing. Michael Tidmarsh, CTO of Ogilvy Worldwide, will follow with his thoughts on Where Does Creativity Fit in a Data-Driven World?? What you can achieve with a powerful martech stack can feel akin to those of a marketing super-hero, making us giddy with the excitement of data-inspired possibilities. But customers are still human, and where humans are involved logic is, at best, only half of the story. Micheal will address the role of creativity in the context of a data-driven world, how creativity itself is evolving, and what it takes to fuse creativity and data-driven tactics to create new opportunities for success. 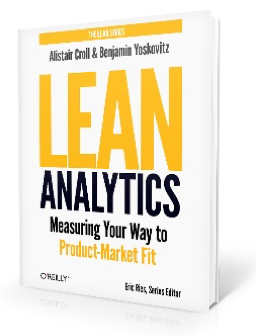 Finally, Alistair Croll, author of Lean Analytics, will give the closing keynote, Just Evil Enough: Hacking Markets in the Attention Economy. In a wide-ranging presentation to close out MarTech, he’ll look at unorthodox strategies for launching and growing projects — and some of the ethical issues these approaches imply. His blunt take on go-to-market strategy will forever change the way you think about audiences, media, and campaigns. Examples of how channel marketers can enhance each other’s ability to improve CX and how marketers can extend those practices to other customer facing departments. Bryan Yeager, Research Director at Gartner, will share 9 Key Insights from Gartner’s Marketing Technology Survey to Help You Prepare for 2019 and Beyond. 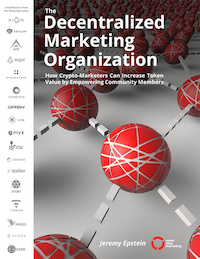 In June 2018, Gartner surveyed 500 enterprise marketing leaders in North America and the UK about all things marketing technology: martech team structures, collaboration across the business, adoption status of specific solutions, level of stack utilization, emerging technology investment and much more. Bryan will unpack their top findings to help you benchmark and prioritize your marketing technology activities for 2019 and beyond. Kelly Troia, former head of marketing operations for Whole Foods and Walmart, and Eric Rotkow, managing director of Zee Jay Digital, will present on Marketing Transformation: Lessons from 2 Retail Giants, based on Kelley’s experience and digital transformation frameworks from Eric’s firm. Craig Sanders, VP of Analytics and Strategy of Utah Jazz NBA team, and Jared Geurts, Senior Director of Analytics at LHM Sports and Entertainment, will present Breaking Down Data Silos to Increase Sales: The Data Strategy of the NBA’s Utah Jazz. You’ll learn just how the Jazz overcame the challenges of managing data across third-party sites such as Ticketmaster, adopting cross-domain tracking, bridging data silos and pulling data from all sources — including mobile and desktop — to achieve 360-degree views of individuals and deliver personalized marketing campaigns. Siara Nazir, Head of Digital Marketing at Autodesk, will describe How Autodesk Increased Sales with an AI-Powered Chatbot. She’ll explain how they employed IBM Watson to power their “EVA” chatbot, leveraging persona information paired with SSO customer entitlement detection to provide an experience that has yielded improvements in conversion rates, chat engagement, and higher average cart values per subscriber. Nancy Nardin, founder of Smart Selling Tools and co-founder of Vendor Neutral, will give a talk on Everything a Marketer Should Know About SalesTech (But Was Afraid to Ask). Love the martech landscape? Learn about the salestech landscape, comprising 500 solutions in 43 categories aimed at empowering sales organizations. 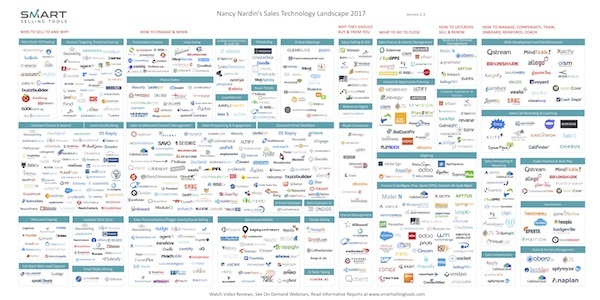 Nancy will give you a whirlwind tour of salestech, the lowdown on how salestech intersects with the marketing technologies you’re using today, and ideas for how marketing can impact revenue generation further along the sales pipeline. Understanding when it make sense to own your own DMP vs. leaning on your agency. Kelly Goetsch, Chief Product Officer of commercetools and author of APIs for Modern Commerce and Microservices for Modern Commerce, both published by O’Reilly, will give a talk on How IT and Marketing Can Use Microservices to Peacefully Co-exist and Serve the Needs of Customers. I’ve been a big advocate of microservices as the future of martech. Microservices allow IT to focus on building and exposing dozens or even hundreds of these “Lego-brick”-style APIs, which lets marketing focus on building experiences for customers. In this session, you’ll learn the central characteristics of microservices, how microservices benefit customers, how APIs and microservices intersect, where IT’s responsibilities end — and where marketing’s responsibilities begin. The role of the product management team in marketing technology, and how it can bridge the divide between marketing and technology. Who your first hire should be, and you second. And how you know when your team is complete. The roles and responsibilities of the team, and what responsibilities are out of bounds for the team. Kirk Johnson, partner at Lenati, will present Design Thinking + Martech: The Multiplier Effect. He will walk through real-life applications of applying human-centered design thinking (powerful mindset, repeatable process, specific tools) to marketing technology projects — giving the audience a “hands-on learning” in design thinking (and design doing) style. He’ll cover examples of brands who have put this into practice with Microsoft, Samsung, T-Mobile, Adobe, and Starbucks. The difference between a regular and a strategic marketing ops group — and why it matters to executives. Michael Lukich, Director of Marketing Technology at Total Wine & More, will present Staying Ahead of the Curve: How to Build a Martech Roadmap Your Organization Can Rally Around. Joy Howard, CMO at Sonos, Kieran Luke, GM of Credentials at General Assembly, and Geoffrey Sanders, Senior Vice President of Growth at Casper, will discuss Building Marketing Leaders of the Future. Today’s marketing leaders have ever-increasing responsibilities across technology, data, multiple media channels, ROI optimization and more. Despite all these duties, though, there’s an unclear path to leadership in the field. General Assembly’s Marketing Standards Board, a group of marketing leaders across the consumer goods, technology, publishing, and education sectors, worked to define excellence in the field and provide transparency into the skills that drive success at each stage of a marketer’s career. The Right Way to Buy Marketing Technology, taught by Tony Byrne of Real Story Group. Nearly everyone attending MarTech is planning to implement a new technology solution in the next year. But what are best practices for evaluating technologies, choosing vendors, and getting your colleagues on board with the process? Tony will answer those questions and more. Agile Marketing Advantage, taught by Andrea Fryrear of Agile Sherpas and author of Death of a Marketer. The pace of marketing is accelerating. And marketing teams need to keep pace. This workshop will show you how to do just that. Agile marketing pioneer Andrea Fryrear will show you how adopting “agile” and “lean” methods will lead to better marketing results. Creating Connected Experiences, taught by Jeff Cram of Connective DX. Want to get the full payoff from your marketing technology investments? Aligning them with your customer experience strategy and digital execution. Attend this workshop for practical frameworks and models to identify and fix cracks in your digital customer experience. Using CDP to Make the Most of Your Customer Data, taught by David Raab of The Customer Data Platform Institute. Most marketers, if you really push them, admit that their data is a mess. If you’re one of them, join CDP guru David for a comprehensive dive into customer data platforms: what are they, why you need one, choosing the right solution, and preparing the business case for adoption. These workshops sold out at MarTech in San Jose this past spring, and the ones for Boston have been filling up fast. So if you want to participate in one of these, you should reserve your seat now. We’re very serious about keeping the editorial tracks at MarTech — everything you’ve read about above — as vendor-agnostic as possible. Almost all of our editorial speakers are real-world practitioners or recognized independent analysts. There’s no hidden agenda in our editorial agenda. However, it’s also true that some of the most amazing things happening in marketing today are being created and championed by innovative martech vendors. They have deep expertise, brilliant ideas, and remarkable customer success stories to share. So we offer a Solutions track and breakfast and lunch presentations that are explicitly sponsored by martech vendors. We’re grateful for the support these sponsors provide to the MarTech conference. But we’re even happier that they deliver really fantastic content to the audience in these sessions — because they know that helping you, impressing you, and not pitching you is the best way to win your respect. For Boston, Workfront and OneTrust, our title sponsors, will be starting Tuesday and Wednesday respectively with a delicious breakfast and inspiring keynotes. At lunch, there will be presentations by IBM, Lytics, BlueConic, and SAS Institute. And Magnolia will be hosting our networking reception on Tuesday evening. In the Solutions track, there will be excellent, full-length sessions by Aprimo, LeadData, Path Factory, Tealium, Metadata.io, Merkle, Acquia, Infor, Magnolia, and Censhare. MarTech Theater will also have short presentations and case studies by Pitney Bowes, Dataroma, Allocadia, Treasure Data, SEMRush, NGData, SAS Institute, and Workfront. Need to attend MarTech on a budget? You can get an Expo+ pass that will let you meet with all the exhibitors and attend any of the Solutions track sessions and MarTech Theater presentations. Through September 1, you can buy an Expo+ pass for only $79. But if you can afford an all-access ticket to the full MarTech event, I’d encourage you to set aside the time and money to invest in expanding your martech mental models and your martech professional network. You’ll gain new ideas, practices, and perspectives to bring back to your organization and increase your firm’s marketing maturity. There’s no other conference where you will get this deep, real-world, vendor-agnostic martech content. Not even the next MarTech in San Jose in Spring 2019 — because by then we’ll have a whole new set of amazing presentations lined up for you. Our early bird “beta rates” are available through September 1. Now is your chance to save $300 off an all-access ticket — or $500 off a combined all-access ticket plus a workshop of your choice. Register now, and I look forward to seeing you in October, where we can celebrate how far the martech profession has come — and the exciting future that awaits us ahead.